STOP writing agents to fix documents! 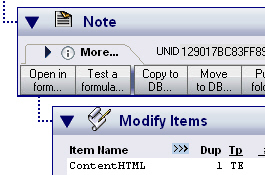 NoteMan fills in the gaps between what Lotus Notes/Designer/Admin do and what you need to get done. And with just a few clicks and no design changes. You're probably already doing many of these tasks the long way, so save time with a 30-day full eval now!